I have been debating whether I should sign up for running events or have my first attempt at triathlon. So far, finding a triathlon event in Peru has been a bit frustrating. I have not been able to find a Sprint or Olympic distance, only a half Ironman distance in December, which is 1.9 km (1.2-mile) swim, a 90 km (56-mile) bike ride, and a 21.1 km (13.1-mile). I feel like it is just too much, too soon. Travelling abroad for a short distance tri doesn’t make much sense. For now I will keep on with my tri training, and join local running events. Therefore I started looking for races, and found the most amazing one. The race is called “Run in the Dark” and it’s going on in over 50 different places around the world on November 11that 8pm. Cities in the Americas! I’m so glad that Lima is included! 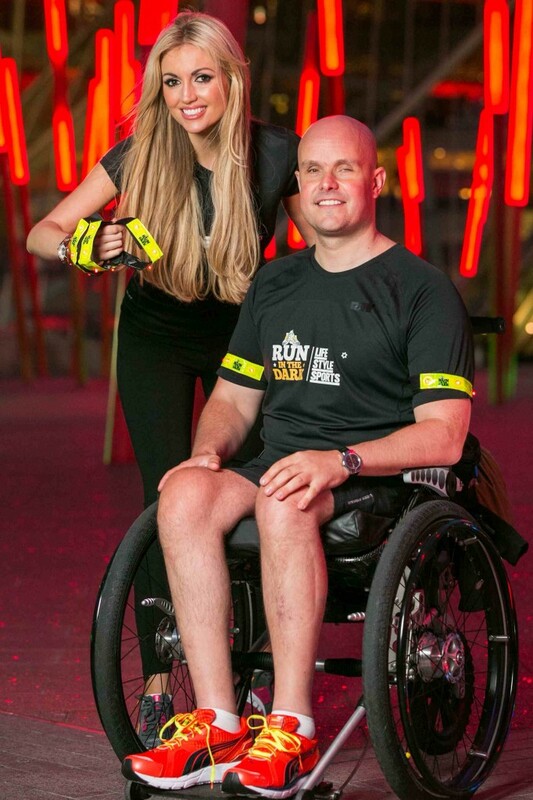 Now, for you to know more about the race: Mark Pollock is an adventure athlete, professional speaker, author and broadcaster. When he was a kid he lost the sight on one eye, and by the age of 22 he lost the sight of his other eye. Regardless of being blind, he continue pursuing his dreams. He completed some of the most challenging adventure events in the world like the Amundsen Omega 3 South Pole Race. Unfortunately, in 2010 he fell from a second story window, resulting in a spinal cord injury. Since his accident, he has started experimental treatment, which aims to allow him to walk again and find a cure for other millions of paralyzed people. The funds collected through the race will go to the Mark Pollock Trust. You can pay your registration fee, and you can make additional donations on the website. So that’s it, I signed up for my first race in Lima!!! I hope some of you join in your cities too!